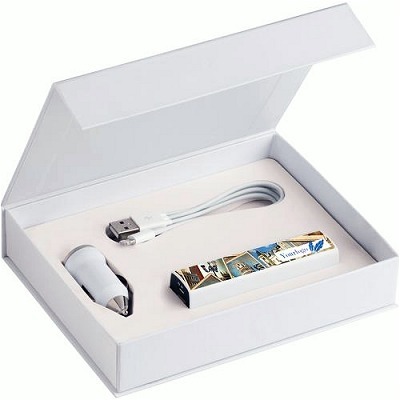 The set of items power bank, car charger and lead. 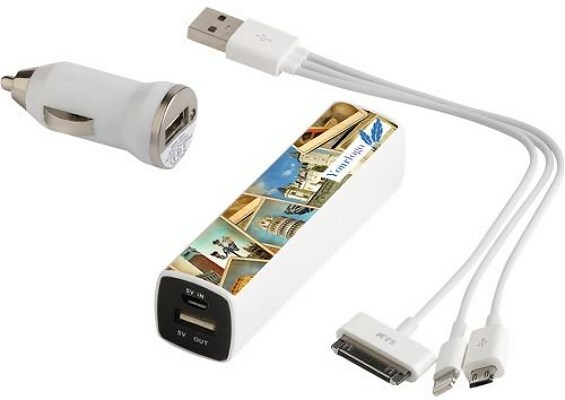 Comprehensive and luxurious travel kit consisting of: Power bank charger (1800mAh - Output 0.5-1A), USB CarCharger and 3-in-1 charging cable for iPhone 4, 5 and micro-USB. Ideal standard equipment to have energy everywhere. Each piece in a gift box with magnetic closure. Packaging: Box with magnetic closure.